Three-dimensional printing technology has the potential to eventually dissolve the boundaries between traditional manufacturing and the end user, who until now has only used objects generated by someone else. 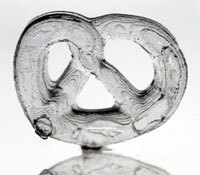 In this webinar, KIT principal investigator Bastion Rapp, Ph.D., will introduce his lab’s prototype and process for enabling freeform generation of highly transparent fused silica glass components using 3D printers. Rapp will discuss potential applications for 3D printed glass, ranging from 3D printing of complex lenses for smartphone cameras and next-generation microprocessors, to ornaments or intricate glass panels for use in building construction. While additive manufacturing and 3D printing have seen significant improvements in processing and instrumentation, the choice of materials for use in AM and 3D printing has not increased significantly. As a material for use in 3D printing, glass has numerous advantages, including unmatched optical properties and high degrees of mechanical, thermal and chemical stability. Rapp will discuss how the emergence of enabling materials for 3D printing could revolutionize use of this technology. Bastian E. Rapp studied mechanical engineering at the University of Karlsruhe and received his Ph.D. from the university in 2008, working on biosensors for biomedical diagnostics. He is a principal investigator and head of NeptunLab at the Institute of Microstructure Technology (IMT) of the Karlsruhe Institute of Technology (KIT). His research focuses on the development of microfluidic analytical systems and instrumentation for biomedical applications and biotechnology. He is the recipient of numerous awards, including the Edison Award of the General Electric (GE) Foundation, the REHAU award and the Südwestmetall Förderpreis (Südwestmetall Award). 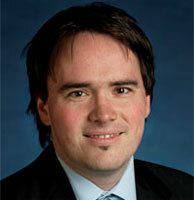 His work has been published in the publications Lab-on-a-Chip, Advanced Materials, Angewandte Chemie and Nature.